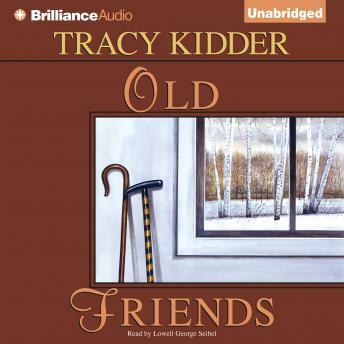 Tracy Kidder won the Pulitzer Prize for The Soul of a New Machine. House and Among Schoolchildren were national bestsellers. Now this "crackerjack reporter with a common touch" (Philip Lopate, The Washington Post) has turned his talents to his most important and universal theme in this, a close-in study of old age in America. With care and exactitude, with the human compassion and humor for which he is famed, Kidder opens up a fascinating world to us that is, at the same time, foreign and compelling. The narrative takes place entirely in a nursing home and focuses on two old men struggling with their circumstances, their memories, and their mortality.